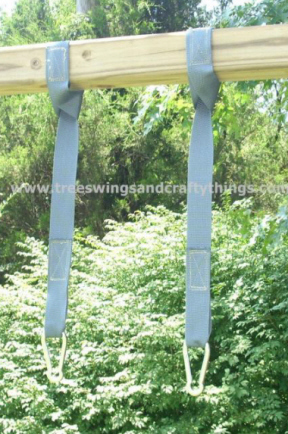 Note how one end of the strap loop is through the other strap loop. 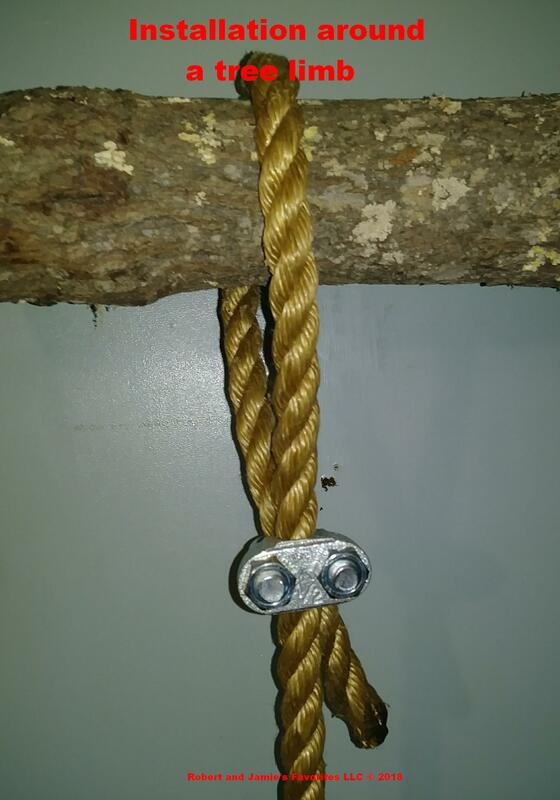 The metal clasp at the bottom is where you thread your rope through, then clamp together the rope with the supplied clamp. 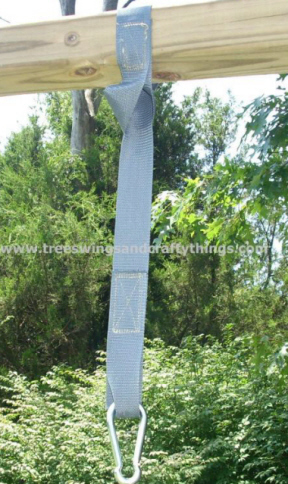 Take one end of the strap loop and place over the tree limb or other structure, both strap loops should be the same distance facing downward. 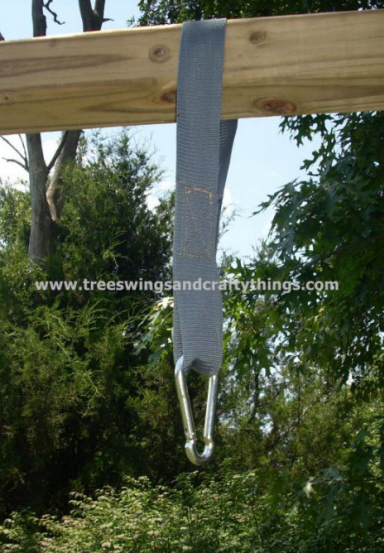 You then take one strap loop and place it inside the other loop. 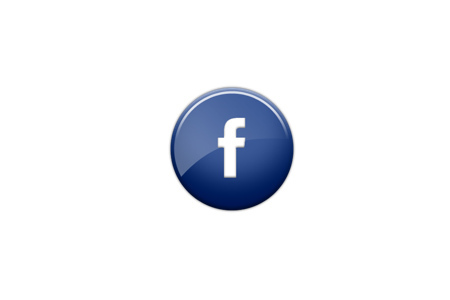 This appears as a double strap loop, like one is made inside the other. 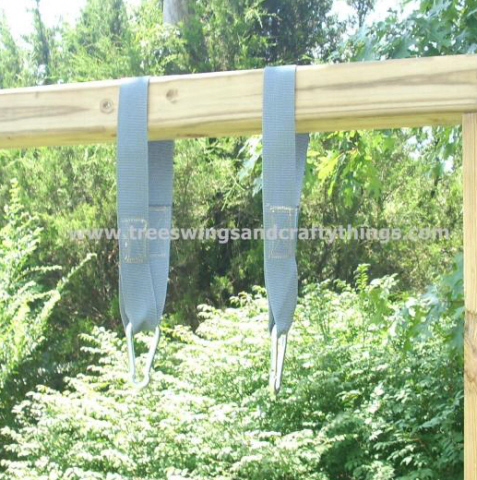 Take your metal clasp and hook it onto both strap loops. 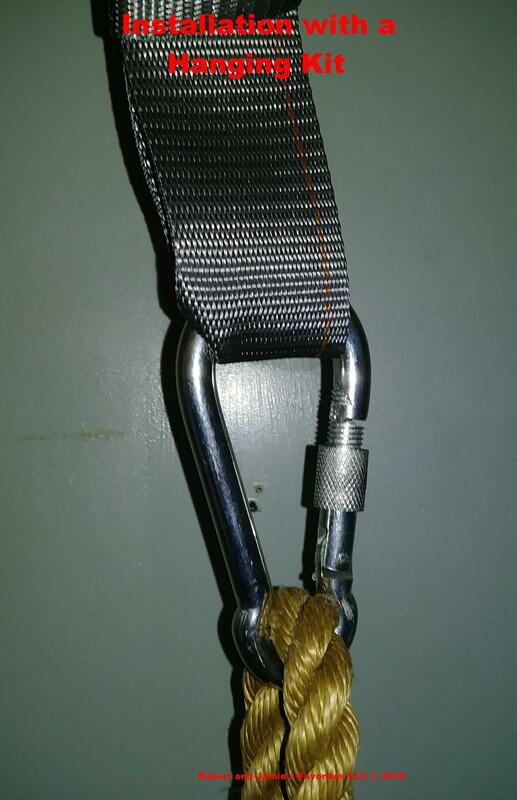 Insert your rope through the clasp and secure it with the supplied clamp. 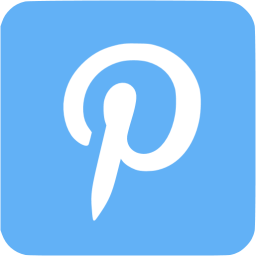 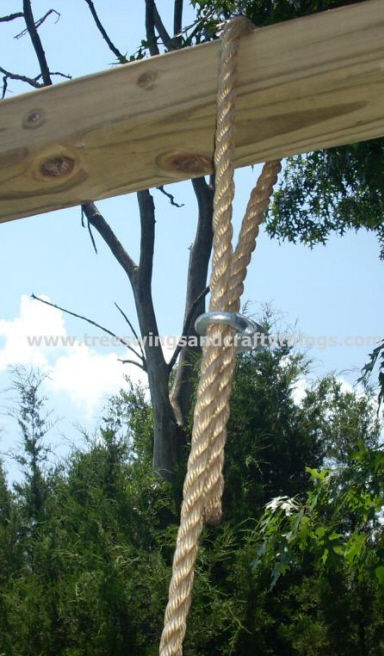 If you plan to mount your swing to a tree limb or other structure with eyebolts already in place, you simply thread the rope through the "eye" and clamp the rope with the supplied clamp. 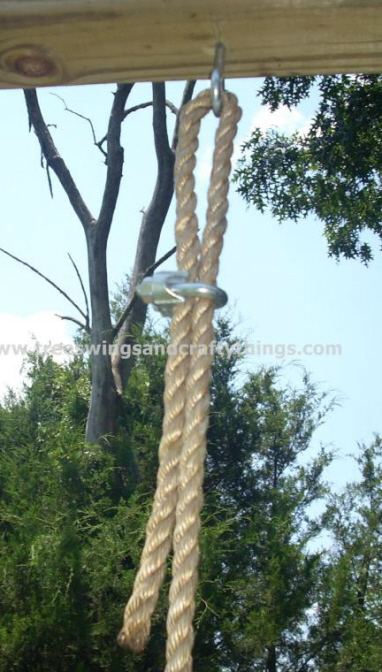 Place one end of the rope over the tree limb that you plan to install the swing on (Make sure limb is sturdy, and not showing signs of decay or fracture). 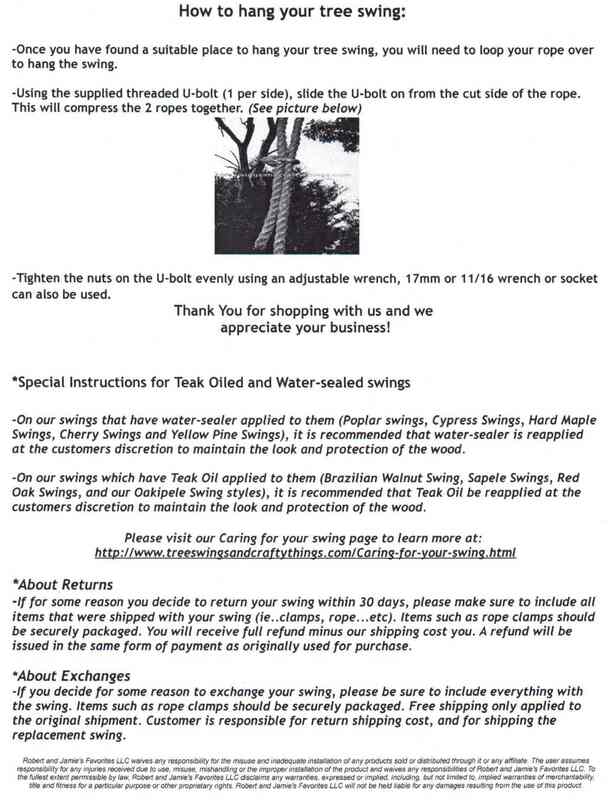 Take the supplied clamp(s) that come with your tree swing, and securely fasten the rope together, making sure to tighten nuts on the clamp(s).